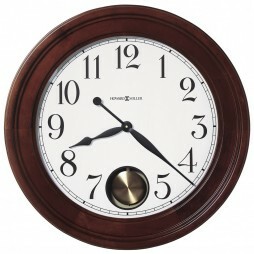 This traditional wall clock is a perfect blend of classic design with an elegant touch. 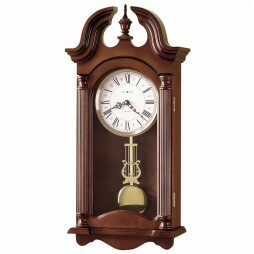 Swan neck pediment with turned wood finial, a decorative shell carving and reeded columns provides uniqueness to the wooden case. A finishing touch of Cherry Bordeaux adds to the beauty. 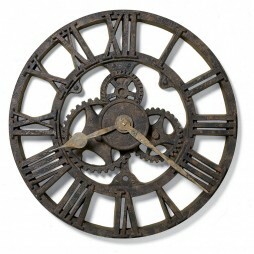 Off white dial with Roman numeral complements this beautiful timepiece. 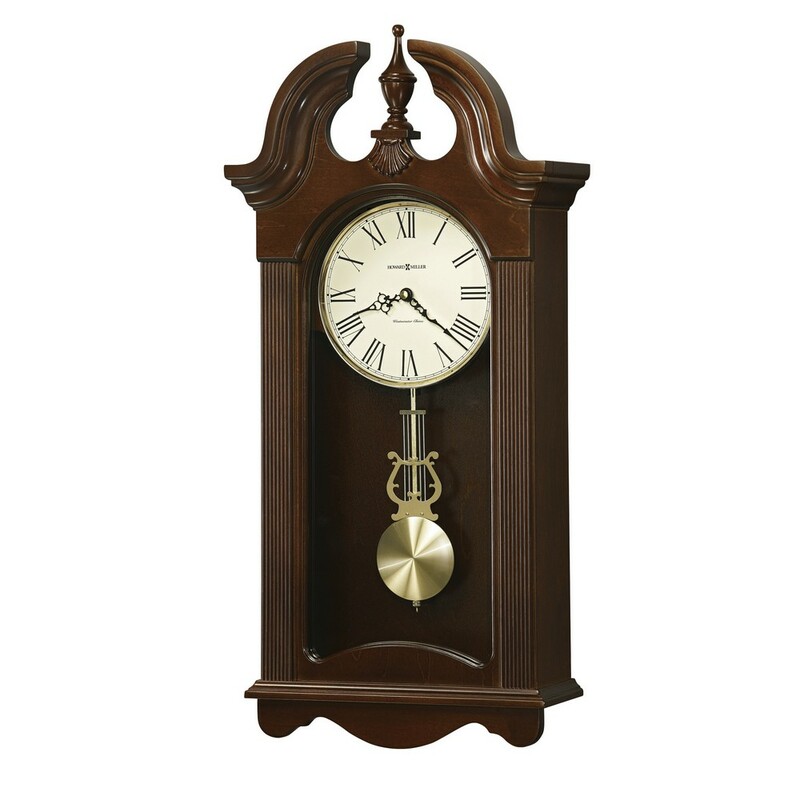 The clock also features a quartz, battery operated movement and plays Westminster chime and strikes the hour. The Howard Miller Malia is perfect for any traditional living area. Decorative shell carving and reeded columns. Circular brushed brass finished pendulum bob with a brass finished lyre and. 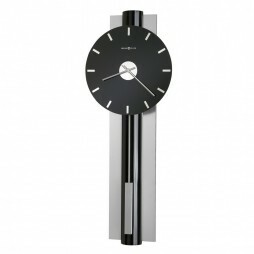 Dimensions: H: 26-1/4 (67 cm) W: 12-1/4 (31 cm) D: 5-1/2 inches.